Moving to another home is quite a big step in the lives of most people. There are lots of things that need to be taken into consideration before making the decision to move especially in times of economic uncertainty. Moving invariably involves more expense but sometimes it is a step that is impossible to avoid when, for example, you have come to the end of your tenancy and the landlord is not going to renew it, or you have secured employment in another area of the country which necessitates a move. 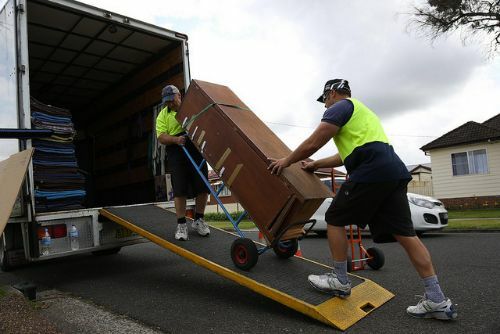 Whilst there are some people that love moving and others that hate it, there is no doubt that the preparation for the move can be very stressful, especially when you are working full time. Finding the time to pack, organising the boxes and generally working out how you are going to transport your possessions from one location to another can stretch the patience of even the most organised of people. The possibility of using a removals company or professional removals service will no doubt cross your mind, as well as the alternative of hiring a suitable self-drive rental vehicle. Both options have their merits and disadvantages so you need to consider what you might gain or lose by deciding to use either of these options. Saves time – The time involved in preparing for moving day, whilst juggling the other activities in your life, is usually far more than a couple of days. Using the services of a professional removals company eliminates the stress of worrying whether you are going to get everything done in time and also takes away the stress of packing, loading your possessions into a vehicle and driving to your new home. A professional removals company can do all of these things for you and save you even more time by unloading your belongings at your new home and unpacking them for you if required. This definitely saves time allowing you to concentrate on other tasks such as making sure the rental property you are leaving is clean, taking final meter readings for utilities and handing the keys back to your landlord or letting agents. Stress-free – In a recent study conducted my My Move it was found that people found packing, unpacking loading and unloading the most stressful things associated with a move. By using a professional removals company you will ensure that you have a stress-free moving day experience. Your possessions will be professionally packed – Professional removals companies employ expert packers. They can pack your stuff in ways that most of us can’t imagine. They will ensure that fragile items and glassware are protected during transit and because of their experience can fit more things into a packing case or box than is believable. They also mark up the boxes so that they can be placed in corresponding rooms in your new home when unloaded. They can be expensive – The top reason for people not using professional removals companies is expense. In comparison to hiring your own van to transport your possessions removals companies are definitely more expensive. Whist many people appreciate the advantages of using them sometimes it is just not economically viable, especially for low income families where budget just doesn’t allow for the possibility of a professionally organised move. You often need to fit in with the removals company schedule – Removals companies often carry out more than one move in a day and therefore you often have to fit in with their schedule. This can be particularly difficult if you are working or have to return to work on the moving day. However, if you lead a busy life there is no doubt that if you can afford it, your moving day will be a much more enjoyable and less worrying experience if you have the assistance of professional movers.